Oppo reveals further information about the Reno model - and does so with the help of the Weibo Chinese social network. Oppo Reno is to have a housing thickness of less than 8 mm, with an aluminum carrier frame and Gorilla Glass 6, with gradient colours. The display will be made in DynamicAMOLED technology, supporting HDR10+ at a resolution of 2340x1080 pixels. The screen will hide a fingerprint reader with a 15x larger area than typical. Inside the housing there will be a new vibration motor and a dual antenna system, and the heart of the machine will be Snapdragon 855. Different versions of memory are foreseen - but about them in a moment. Two batteries with a total capacity of 4065 mAh will be responsible for the power supply. They will be equipped with a Super VOOC 50 W quick recharging system. The phone is also to be made in 5G version, with a battery enlarged to 5000 mAh, enriched with an X50 modem and 12+256 GB memory. There will also be a Lamborghini version, with a stainless steel body and 512 GB memory. Oppo Reno will receive a 32-megapixel selfie camera - Sony IMX510 with f/1.7 aperture. 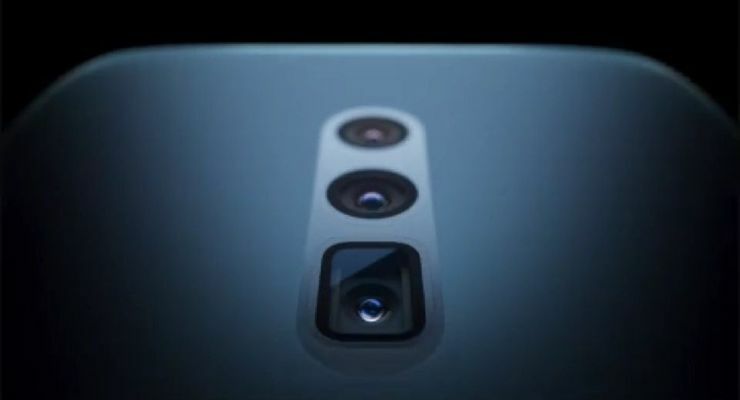 The rear camera contains a 48-megapixel Sony IMX586 sensor, an additional, wide-angle camera with a 120-degree lens, and a telephoto lens with a periscope mechanism, giving a 10-fold zoom to the wide-angle lens - that is, between the widest angle and the maximum zoom -160 mm - but note that the main 48 Mpx camera is located somewhere between these values. In telephoto, the aperture will be variable in the range from f/1.5 to f/2.4, while in the main lens the same values will be changed in steps - f/1.5 or f/2.4. Source Weibo; viewed: 190 times.